Mark LaNeve is VP of marketing, sales, and service for Ford, and in that role, he oversees it all: the automaker's sales and service, its marketing and customer care, and dealer relations for both Ford and Lincoln. If you're wondering what the future holds for radio and automotive, this is the man who can tell you. 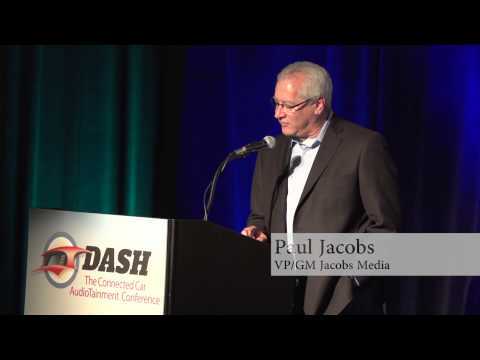 At Jacobs Media and Radio Ink's DASH conference, coming up next month in Detroit, LaNeve will talk about how automotive marketing and advertising are changing in the digital age, and the implications that has for radio, the auto industry's longest-standing partner. LaNeve knows all the ins and outs of auto marketing: Before taking his current post, he was COO of Global Team Ford, the automaker's marketing and advertising agency, and he's also a former senior EVP and chief marketing officer for Allstate (he came up with the insurance company's award-winning "Mayhem" campaign). Automakers and dealers are going digital in their advertising, and there's no way to slow that down. But there's no reason radio can't still be part of their plans, both traditionally and with exciting new digital partnerships. Here's a rare chance to hear from someone who's in the business, making decisions about auto sales and marketing every day, explaining exactly what you can do to stay on the radar and thrive in this new era in automotive. Can you afford to miss it? iHeartMedia CEO Bob Pittman will be the keynote speaker at this year’s DASH Conference, November 4-5 in Detroit. The DASH Conference takes place November 4-5 at the Westin Hotel in the Detroit Metropolitan Airport. Don't miss learning specific strategies to retain radio listeners as well as crucial auto advertising. 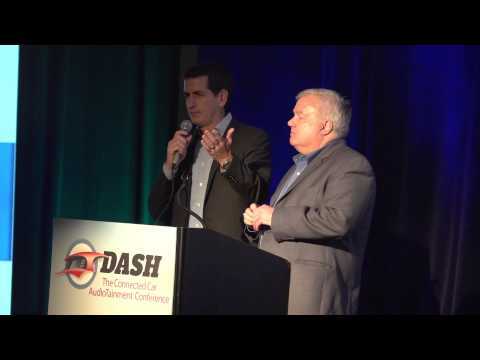 The original DASH Conference was conceived to help broadcasters better understand the sweeping changes taking place in the car and to keep radio’s prominent role on the dash. With collaboration among leaders from both broadcasting and automotive, the connected car conversation is now on the radar for the entire radio and automotive industries, and we feel the original goal has been accomplished. However, these conversations revealed concerns going forward, and the need for retraining the entire radio industry. DASH 3.0 is a must-attend for radio managers, who wish to remain relevant and keep their automotive advertising, and their listeners. DASH 3.0 will provide actionable ideas and automotive strategies that can be implemented by every radio station or company, with advertising experts from the automotive industry, thought leaders from both the media and automotive sides of the street, panels of local car dealers, and leaders from radio and marketing, plus information about the continued evolution of the digital dashboard. 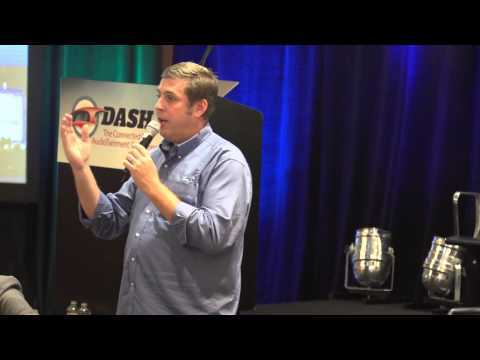 Contact us regarding sponsorship opportunities for the DASH 3.0 conference. Jacobs Media is a Detroit-based media research and consulting firm, specializing in radio, television, and new media. The company’s mobile application arm – jacAPPS – develops applications for smartphones and tablets. The company is House Developer for the Ford Motor Company’s SYNC AppLink platform. Learn more at www.jacobsmedia.com and www.jacapps.com. Radio Ink is the premier management and marketing magazine in the radio broadcasting industry. Published 20 times a year in full color, the magazine offers professionals in the radio industry tips and techniques to be more effective at running radio stations. Radio Ink also produces free daily news e-mails, with headlines from all areas of the industry. Learn more at radioink.com. Westwood One offers audio products to engage listeners whenever, wherever they are. They are a trusted connection between audio companies, advertisers, and audience, reaching hundreds of millions of monthly listeners. Their portfolio features exclusive brands people love, such as the NFL, Red Carpet Radio, NASH, Rdio, and more. As the national-facing arm of Cumulus, they represent more than just a radio network; they are a multi-platform provider of sports, music, news, spoken word, and digital content. For more information visit westwoodone.com. More stations. Digital sound. No subscription. HD Radio Technology has the best selection of local radio with amazing features and no monthly fees. All you need is a receiver. HD Radio stations broadcast a digital signal over traditional radio frequencies allowing for up to three additional stations of new local content. Best Practices to get the full value from HD Radio Technology: Build awareness by conveying the benefits of your digital broadcast; Embrace Listeners with multicasting, Artist Experience and Program Info; and Optimize Broadcasts with iTunes® Tagging, Station Logos, and more. Learn more at hdradio.com. Marketron is the media industry's leading provider of business software solutions and services. Specializing in revenue management and audience engagement solutions, Marketron enables media companies to drive new growth opportunities. With more than 7,000 media organizations served, Marketron solutions are the most widely used in the world and manage an estimated $15 billion in annual advertising revenue in the United States alone. Since 1969, Marketron has provided the most robust, advanced and flexible business software solutions for the media industry. Learn more at marketron.com. Patrick Communications is a leading brokerage and investment banking firm located in Elkridge, MD. We are a full service firm offering media, tower and telecom brokerage, television spectrum auction consultation, restructuring, investment banking, appraisals and management and financial consulting services. Over the last 20 years our principals have negotiated or appraised media transactions valued in excess of $7.5 billion. www.patcomm.com. GENIVI® is a nonprofit industry alliance committed to driving the broad adoption of specified, open source, In-Vehicle Infotainment (IVI) software. The alliance develops an open standard for aligning automotive and consumer infotainment cycles. Our work results in shortened development cycles, faster time to market, and reduced costs for companies developing IVI software. Come visit us at www.genivi.org to learn more. Guest? Interested in Sponsorship Opportunities? Questions? Get in touch.